Grown plantable sculptures created using mushroom Mycelium provided by Ecovative are my contribution to a sustainable ecosystem. 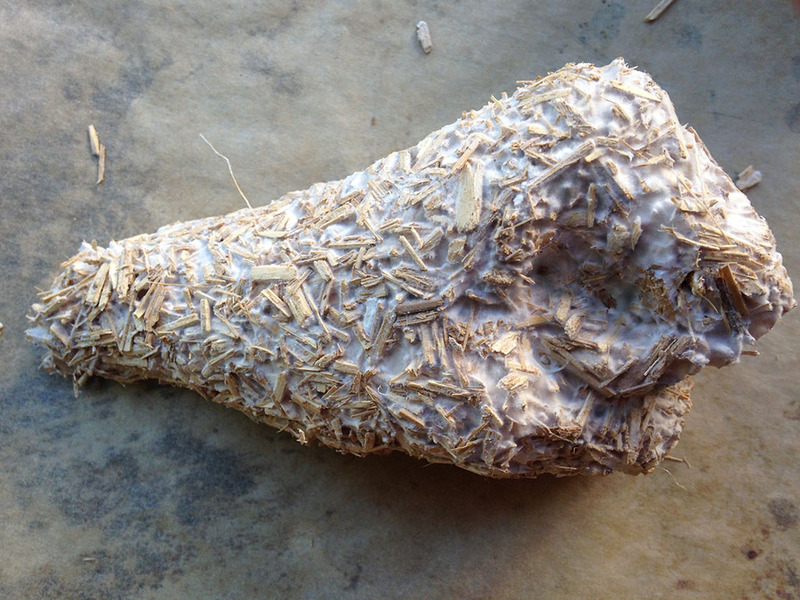 Mycelium is an organic reusable, recyclable material that enrichs the soil it inhibits. Invisible to us as we walk, woven under our feet in soil, is a tapestry of dense fiber called Mycelium. 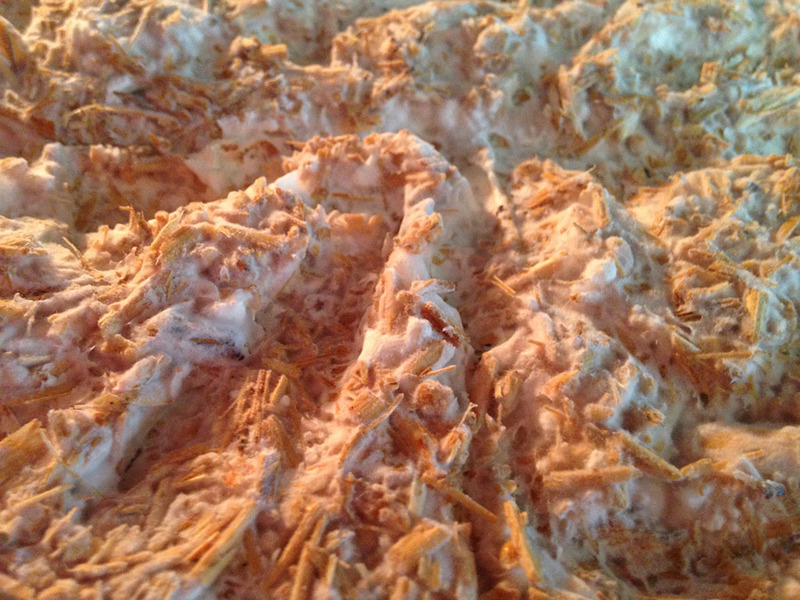 Germinated from mushroom spores, Mycelium is a branching, multicellular cellular, hyphal network that grows apically toward and within a food source acting as a decomposer. Similar to an insect’s exoskeleton, each hypha’s cell wall is made of rigid chitin. Collectively, hyphae secrete enzymes and acids through their cell walls that allow absorption of nutrients it can metabolize, such as, cellulose and other complex compounds. 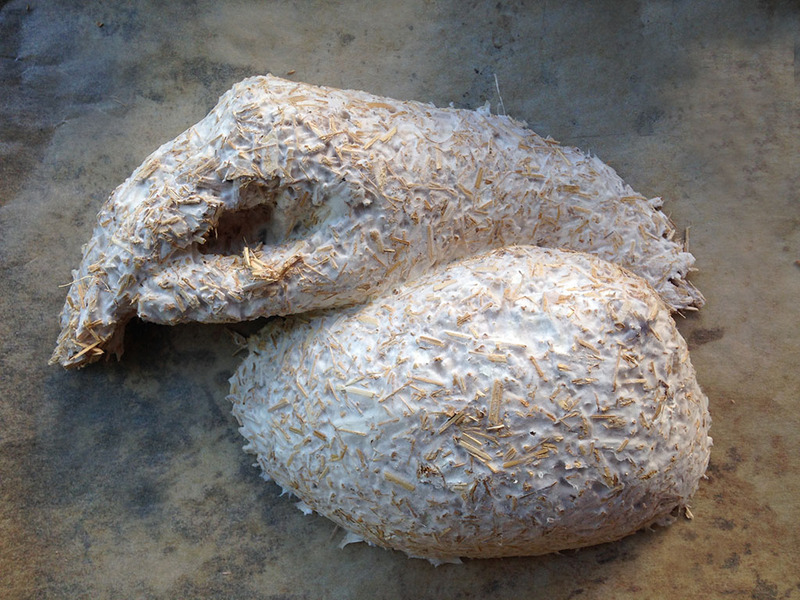 Under right circumstances, some Mycelium will fruit to become mushrooms. Casts from life the form is filled with live growing mycelium, which becomes a sculpture. Plant this sculpture in your garden to enrich the soil and feed microorganisms. 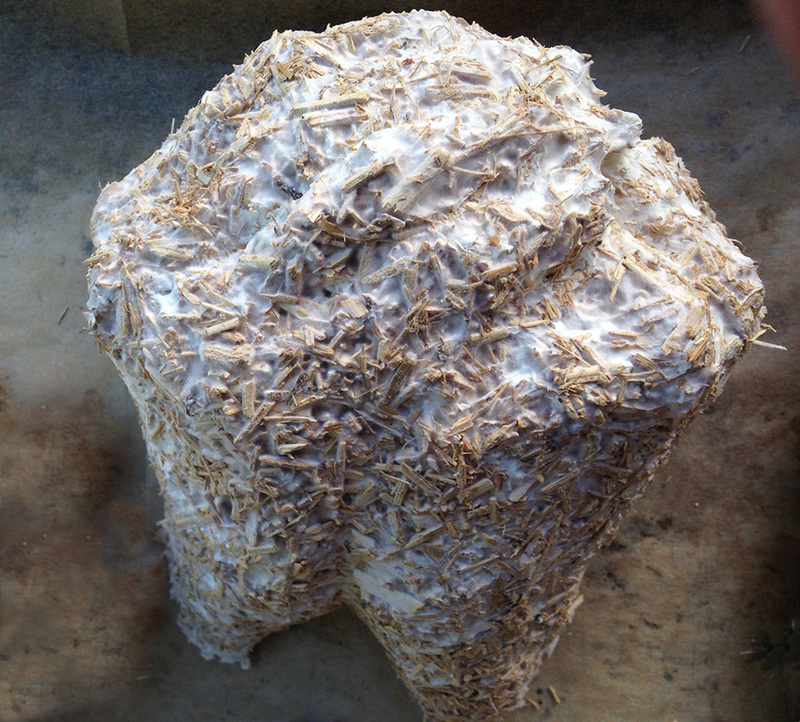 Mycelium grows consuming wood chips and fills the form.